I married my husband Brian on August 9, 2008. It wasn’t long after that we decided to start a family. It took us awhile to get pregnant, but in March 2010, we got our positive pregnancy test. We were thrilled. We were only able to make it until 6 weeks before we told our family and we told the rest of our friends at 10 weeks. Ignorant bliss. As soon as we made it to 12 weeks I thought we were in the clear. I had morning sickness from weeks 6-10, but I didn’t mind because that was just more proof we were having a baby! We were both hoping for a girl, but were preparing ourselves for a boy, either way we were excited! At 20 weeks we found out we were having a girl! A GIRL!!! We were over the moon, she looked perfect and every doctor appointment went just as it should go. This little girl would be the first grandchild on my side and the first granddaughter on my husband’s side. 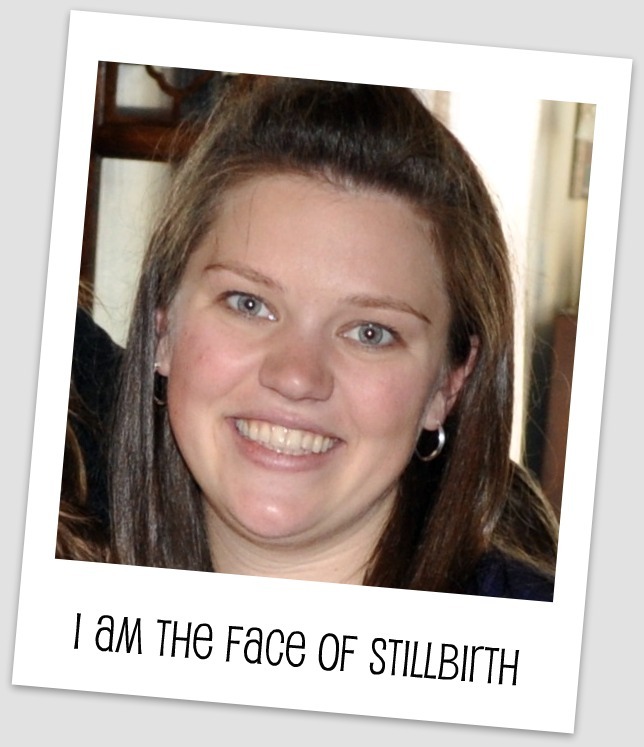 At six months I was diagnosed with a mild case of gestational diabetes. At first I was really upset, but when I found out how easily it was controlled by diet alone it was a piece of cake…sugar free cake 😉 I was a rule follower from day one, no soft cheeses, green tea, fish and deli meat etc. Never even one sip of alcohol or any drug not even a Tylenol. I wasn’t going to take even the smallest chance of doing something that could hurt my little girl. At 37 weeks my husband was growing impatient on waiting for his little girl. He would talk to her and ask her to come early. I would always yell at him and tell him she wasn’t done “cooking” and to leave her alone. My doctors said they could induce a week before my due date and I always said no. I wanted her to come on her own when she was good and ready. When people would ask if I was “done” being pregnant I would always say no. I loved everything about being pregnant, I loved feeling her move and having her nice and safe in my belly…or so I thought. When I made it to 40 weeks I had a doctor appointment. I was told I could get induced as soon as possible. I asked to wait and they said the longest I could go was one week after my due date. No one ever told me there was a risk to staying pregnant. They scheduled me to be induced on 12/7/10. I had an NST on 12/1/10 and everything was great. I was dilated to a 2 and had felt contractions on and off the last few days. They ruptured my membranes to help speed things along and scheduled me for one more NST on 12/4/10. I woke up at 2:30am, this was pretty normal. I hadn’t felt the baby move much, but felt her by 4:30 and was able to go back to sleep. Brian woke me up at 8:30 as he knew I had a scheduled non stress test appointment to attend. Brian left for work and I woke up and began to get ready. It all seemed like a normal morning until I noticed she hadn’t moved since I had been awake. I decided to try to wake her up with some sugar so I drank some orange juice and…nothing. She has had her quieter mornings so I tried not to worry, but was eager to get to my appointment to hear her on the monitor. I drove to the hospital and checked in to my appointment for 10am. I was greeted by a wonderful nurse. She welcomed me and got me set up for my test. I told her I hadn’t felt the baby move since 4:30am, she told me not to worry and started looking for the heartbeat. She tried to keep me as calm as possible as she searched for one tiny heart beat…nothing. She called in another nurse…nothing, as they brought in the doctor I asked if I needed to call my husband (with every new person they brought in my heart began to race faster and faster…I mean here I am at 40 and a half weeks pregnant and everything has been so good, certainly nothing bad would be happening…right?!?) After the doctor and the sonographer were unable to locate the heartbeat we knew that was it. I remember begging and pleading them to find it and the looks on everyone’s faces. Devastation is a word that doesn’t even begin to describe it. Through my screams and sobs they were able to call Brian and my parents. The nurse climbed into bed and held me until Brian got there. Poor Brian was told that he needed to come to the hospital, that I was physically okay, but things were not okay. I couldn’t imagine going home with this news and Brian agreed so I was admitted to the hospital. It was amazing how fast everything seemed to go. I felt like no time had passed, but hours had gone by. I was hooked up to machines and labor had started. I was given an epidural so I wouldn’t have to be in much physical pain. After hours had passed the epidural started to fade and the pain was becoming unbearable. They were talking C-section as the baby’s face was turned and they were unsure as to if I could deliver her vaginally. I was put into different positions every 30 minutes to try and rotate her. I was determined not to have a C-section. At about 2am we were told we were at least 8 hours away from delivery, so we sent our family home and tried to get some sleep. It was the worst sleep, but it was the best we could get. I was in pain and breathing through contractions and Brian was awake at every noise I made. He was truly amazing through this whole process. Family came back in the morning and I started to feel the urge to push around 9am. We decided the delivery would just be for the two of us and asked the family to wait in the room next door. At 10:40am on Sunday December 5, 2010, she was here. Addison Eloise Crawford our long awaited baby girl, perfect in every way except that she was not ours to keep. It turns out the cord had gotten wrapped around her neck two times and one was so tight that is wasn’t even noticed at first, the doctor said it was a nuchal cord. We were able to hold her and love her and when we were ready the family came in, two at a time, to love her with us. She was 8lbs, 21 ¾ inches blonde hair, blue eyes, my nose and Brian’s chin, just the perfect combination of the two of us. Everything we could have ever wanted for our baby. We were able to dress her and take pictures and really just be with her and look into this face that we waited so long to see. We tried to do all the things we could with her so we would have as few regrets at possible in the future. We cut her nails and Brian changed her diaper (he had never changed a diaper before). My dad cut her hair (he cuts hair for a living). We took almost 300 pictures, which seemed like a lot then and now doesn’t seem like enough. We made sure everyone got a chance to have their own time with her as she wasn’t just for Brian and I, she was all of ours. Throughout my pregnancy we couldn’t settle on a name. The only name we ever agreed on was Addison and we had talked about Eloise for a middle name as that was Brian’s mom’s name and she had passed away from cancer before I met Brian. Brian would call her Addison and I would always say that’s not her name yet. In the hospital, we knew that had to be her name. Our sweet baby Addi. We had someone say that this must be the worst day of our lives and it really wasn’t, hearing she had no heart beat on the 4th was, but this day, December 5th the day we got to see our baby and hold her, however bitter sweet was still the day we met our beautiful baby girl Addison and one that we will treasure for the rest of our lives. Addison was the most amazing baby. She was ever so gentle in her movements and whenever she poked me too much a gentle rub from me would have her backing off right away. I have to believe she was going to be as kind and gentle on the outside as she was on the inside. She will forever be in our hearts and on our minds as she was and is our daughter. We miss her and love her every single moment of every day. Sending warm hugs and prayers for you as you miss sweet baby Addi! We both experienced a stillbirth on the exact same day. That pains me to know you were experiencing heartbreak at the exact same time in a different state. I am so very sorry for the loss of your sweet baby girl. I too know loss all too well, my firstborn Naomi Hope was born at 28 weeks to severe preeclampsia weighing 1 lb 12 oz. She survived 35 days in the NICU and in the end got very ill and could no longer fight it. All I can say is take one day at a time. I am so so sorry. I would like to follow your blog but it says I have no been able to view it. I guess I have to be invited!? I'm so sorry about your sweet Addison. I am in Everett, WA and lost my daughter on Aug 24th at 38 weeks. I also had GD but this is not why she died. We actually don't have a reason. Feel free to reach out to me at any time: marybethlowell@gmail.com. Here is my blog: http://www.runningwithreese.com. I'll email you as well. Hope you're finding comfort and peace as the weeks progress. Thank you all so very much for your kind words. My blog is private, but if you email me your email addresses I will be happy to add you. I am so sorry that you are all too familiar with this heartache. I am so sorry for your loss of your sweet little girl. And thank you for being brave to share your story. I hope to share mine soon. I lost my twin son and daughter on January 16, 2004.